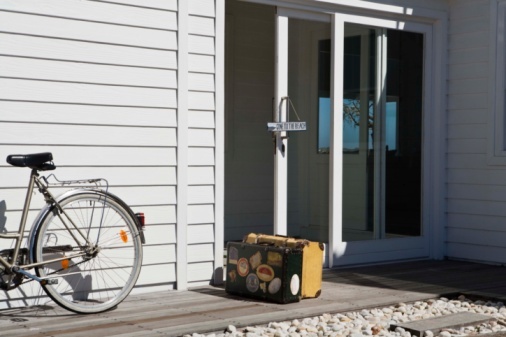 A reverse peephole allows visitors to see into your home by peering through the small peephole in your door. There are two main ways to create a reverse peephole; install a traditional peephole in the opposite direction or use a spy gadget that reverses traditional peepholes. As of October 2010, these peepholes are available for about $90. Some people view these gadgets as a huge invasion of privacy so use them with caution. Traditional peepholes allow you to see who is outside the door. Drill a hole through your front door. The hole should be near the eye level of an average adult, about 5 feet, and should be in the center of the door. Use a 1/2-inch drill bit to drill an appropriately sized hole. Clean out the hole using a screwdriver. Scrape the sides of the hole with the screwdriver to remove any shavings or wood chips. Insert the lens portion of the peephole. Traditionally, the lens portion of the peephole goes on the side of the door that faces the street. 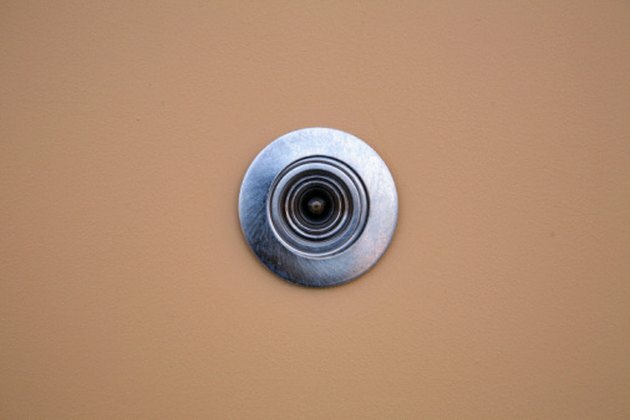 To create a reverse peephole, insert the lens portion of the peephole so that it faces the inside of your home. Insert the viewing piece of the peephole. This portion should face outside. Push the viewing piece towards the center of the door until it fits tightly. Purchase a peephole reverser spy gadget. Set the peephole reverse on the door, directly on top of the peephole. Move your eye towards the viewer and peer through the peephole.